Description: HAND SIGNED, NUMBERED, AND DATED IN PENCIL. PRINTED BY BRAND X EDITIONS. 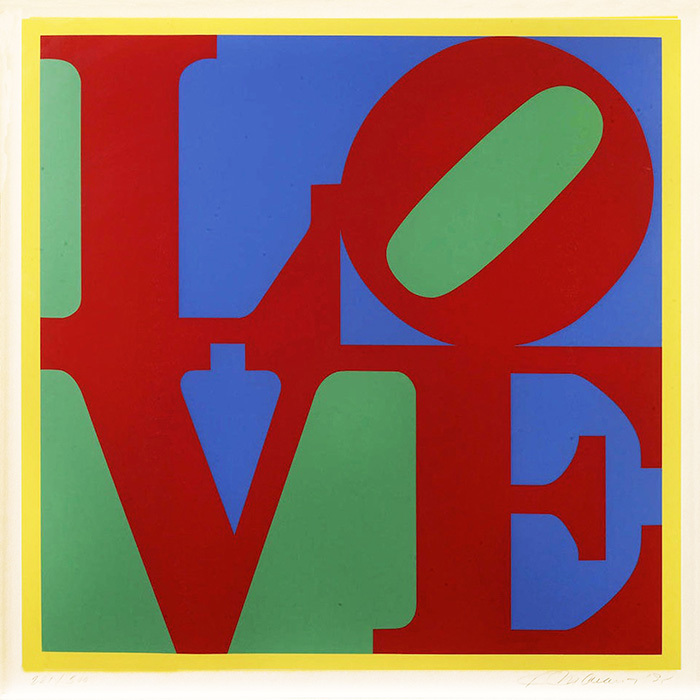 VERSO STAMPED "ROBERT INDIANA 1995 HELIOTHERAPY LOVE". CERTIFICATE OF AUTHENTICITY INCLUDED. ADDITIONAL IMAGES ARE AVAILABLE UPON REQUEST. PLEASE DO NOT HESITATE TO ASK FURTHER QUESTIONS.